In AWR, keyword ranking positions are tracked separately by the device the search queries originate from - Desktop versus Mobile results pages. 💡 Quick tip: If tracking keyword positions on both types of devices is required, then 2 search engines must be defined, one for each type of Google searches. Depending on the search result types you need to capture from Desktop, respectively Mobile SERPs, there are a few search engine versions you can choose from. 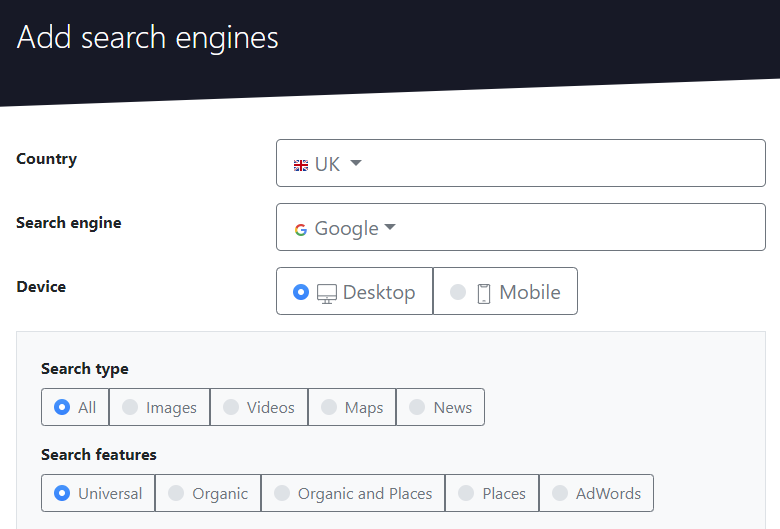 Below you will find a guide of the most important Google's Desktop search results and tips on how to track each using one of the AWR’s dedicated search engines. 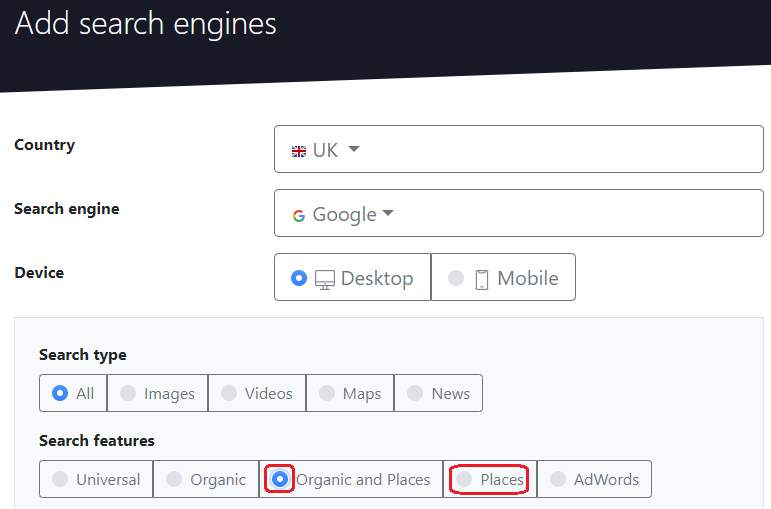 💡 Quick tip: For more details about Google's Mobile search result types and how to track them with AWR please access the following article. Disclaimer: Please note that this screenshot was artificially compiled using real Google results. 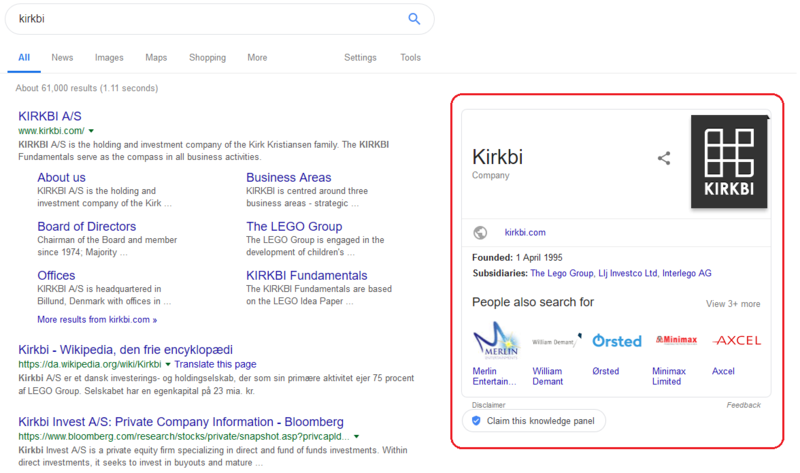 Traditional Organic results blended with other special search results (also referred to as SERP Features) from Google's results pages. 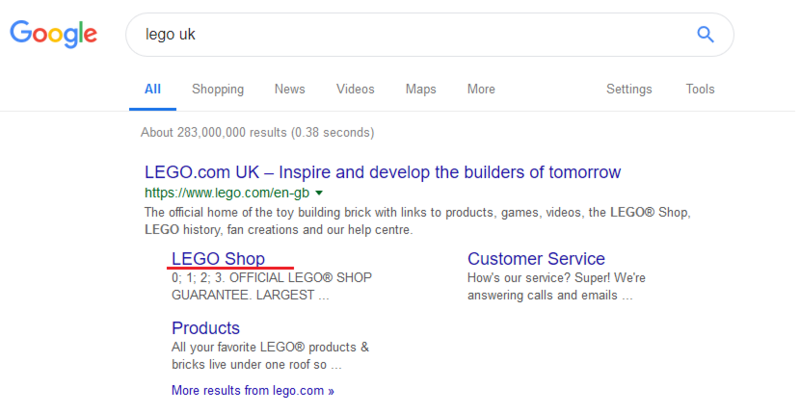 Answer display boxes featured on #1 spot (position 0) of Google’s results page. 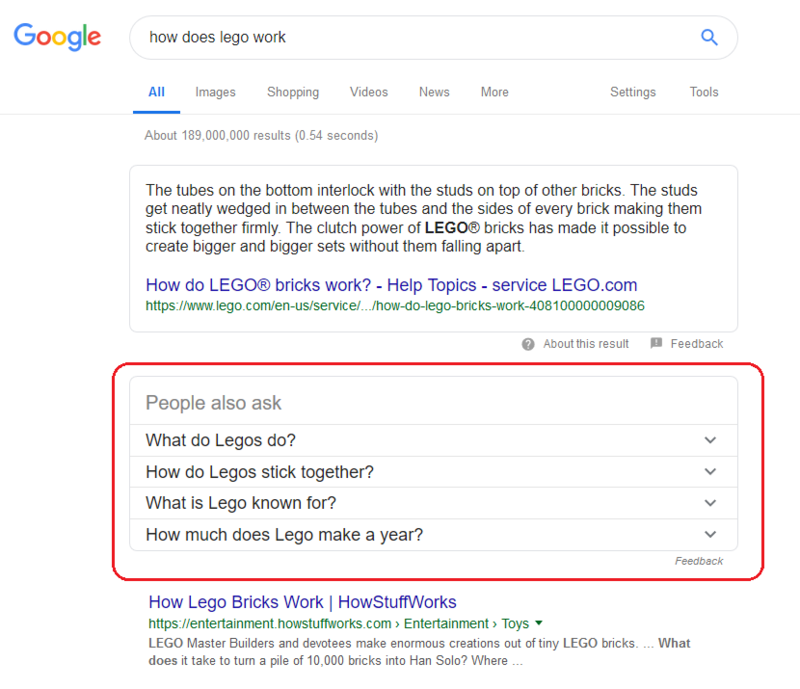 Featured snippets help users find the information faster as they do not have to click through a specific result in order to see the answer. Hyperlinks that appear below some Google listings in order to help searchers easier navigate to relevant pages from a website. 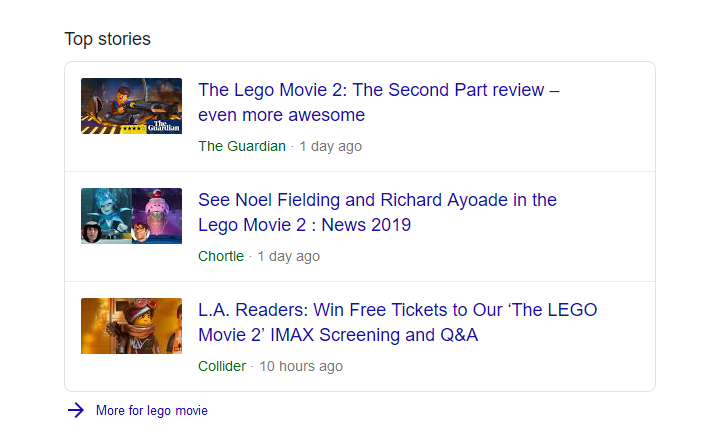 News-related results returned when Google finds relevant news or events relevant to the search query. Such results can appear in any position on the search results pages and are enhanced with a small, yet representative image or video. When clicking on the More for link below the Top stories box the searcher is redirected to Google’s News vertical. Thumbnail images from Google’s regular web search pages. 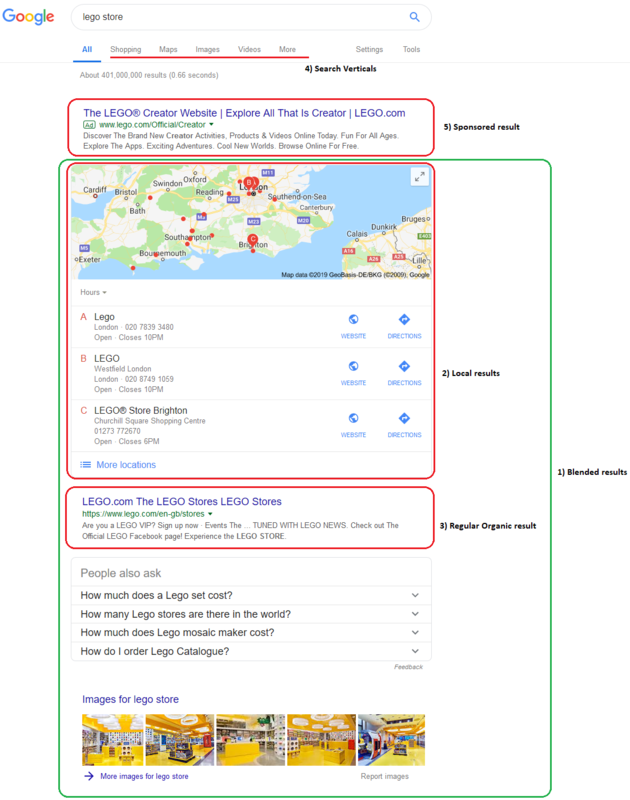 Such results can appear in any position on SERP and are linked directly to Google’s Images vertical. Overview information box displayed on the right side of a search results page. The knowledge panel is triggered in response to a query about a brand, a place or a particular topic such as popular people, books or movies. Snippets featuring a thumbnail of the video alongside the publication date, the names of the video and channel. Video snippets can show up on any position among Google’s regular search results pages. 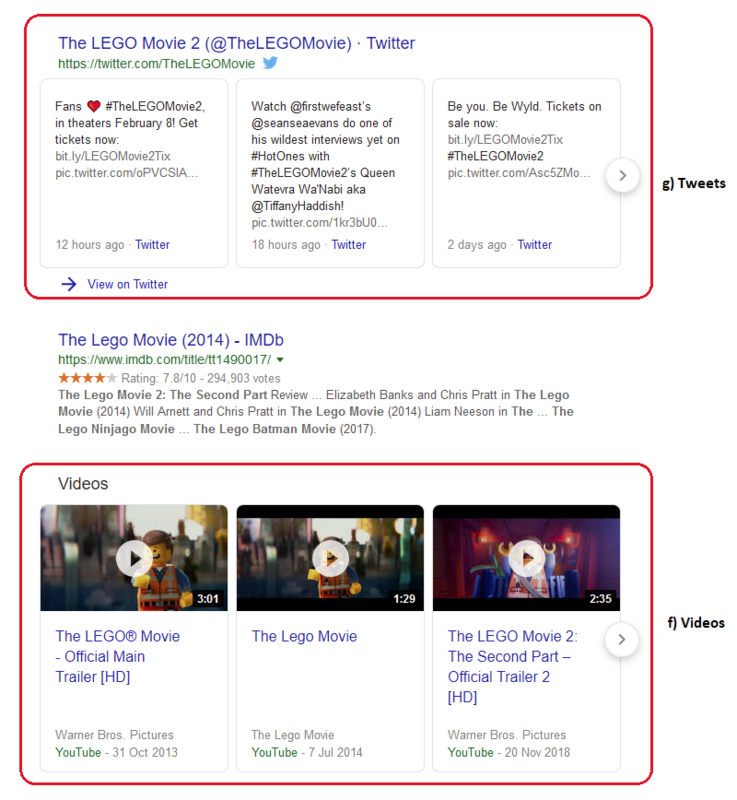 Twitter search results returned by Google when significant current interest related to the query’s topic is registered. Set of accordion-like questions and answers related to the searcher's initial query. 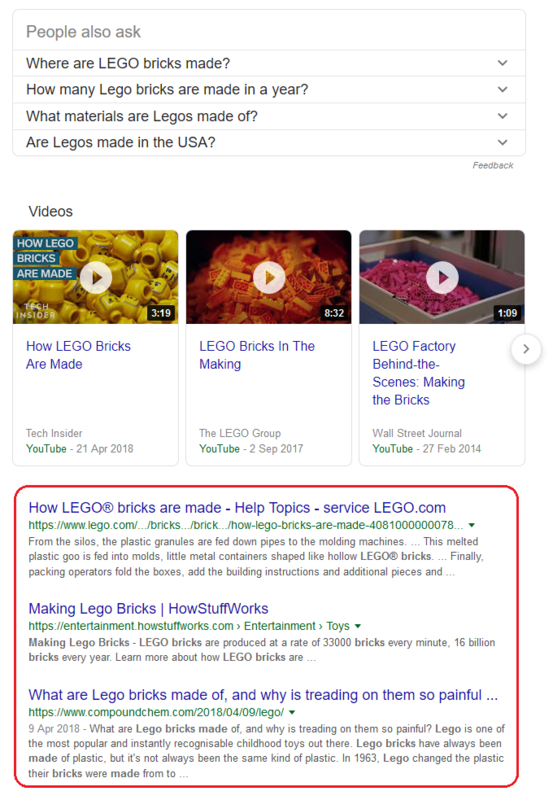 A PAA result can appear either right under a featured snippet or on any other position on the first page of search results. Pack of 3 Google search results that shows the most popular local businesses relevant to the user’s query and geographic location. 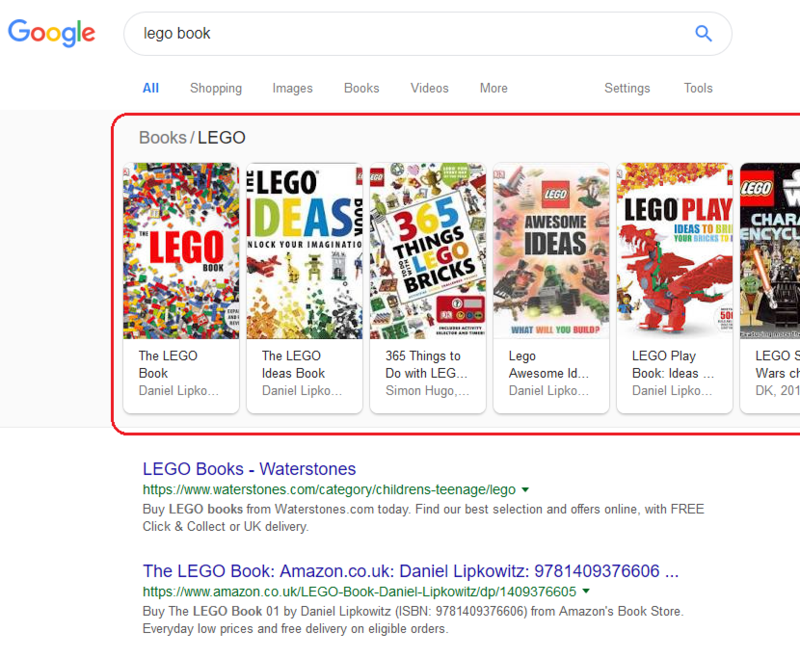 The local 3-pack usually appears at the top of the page every time a query has local intent and it is accompanied by a map. Horizontal slider displayed at the top of the page which allows searchers to expand their search. 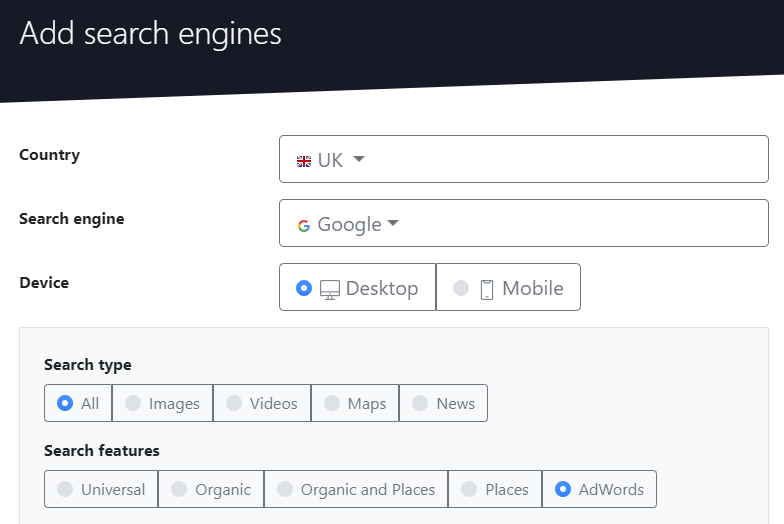 Clicking on any of the carousel’s listings brings the searcher to a new search results page. 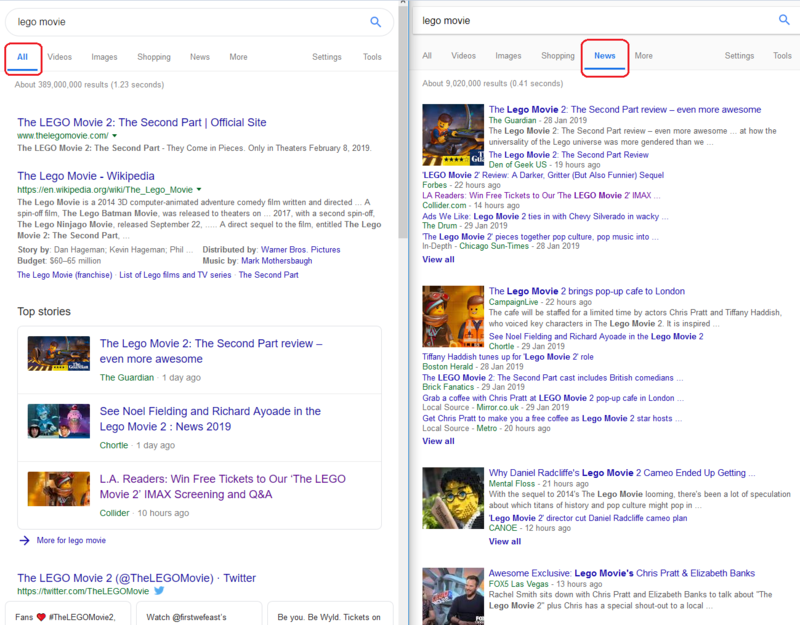 Blended results from Google’s regular desktop search network can be tracked using the Desktop Universal search engine. -----------------------------------------------------------------------------------------------------------------------------💡 Quick tip: When tracking a Universal search engine any URL on which the searcher can click is considered as being a top site competitor. 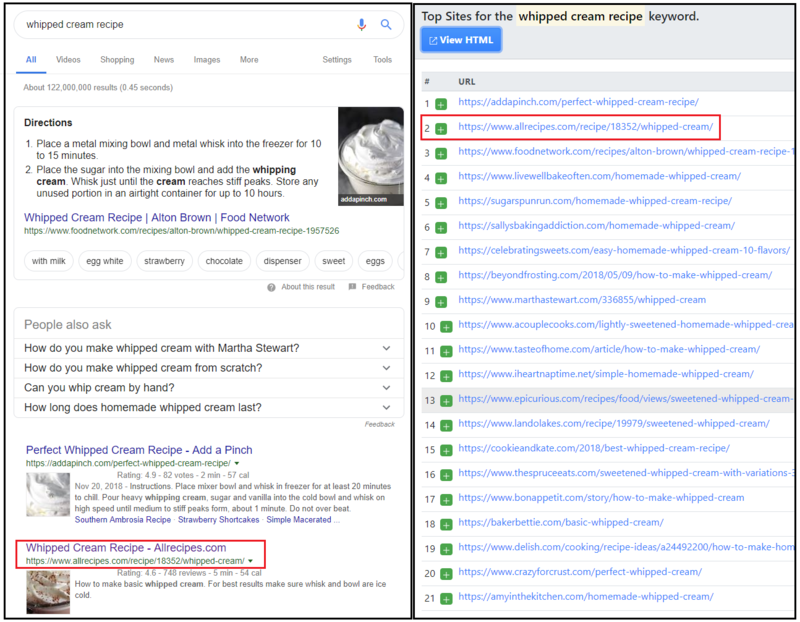 Organic entries alongside the URLs from Featured snippets, Local 3-pack, Images, Videos, etc, that Google includes among its pages will be counted when computing the ranking position of an URL. Left screenshot: The HTML SERP file retrieved using a Desktop Universal search engine. 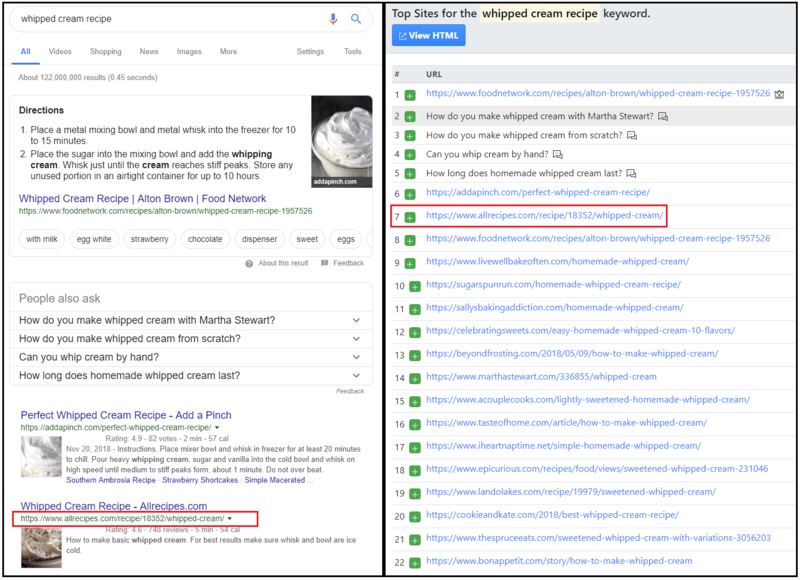 Right screenshot: www.allrecipes.com is reported as ranking on the 7th position - the Feature snippet, the 4 entries from the People also ask box and the Organic result were counted first. 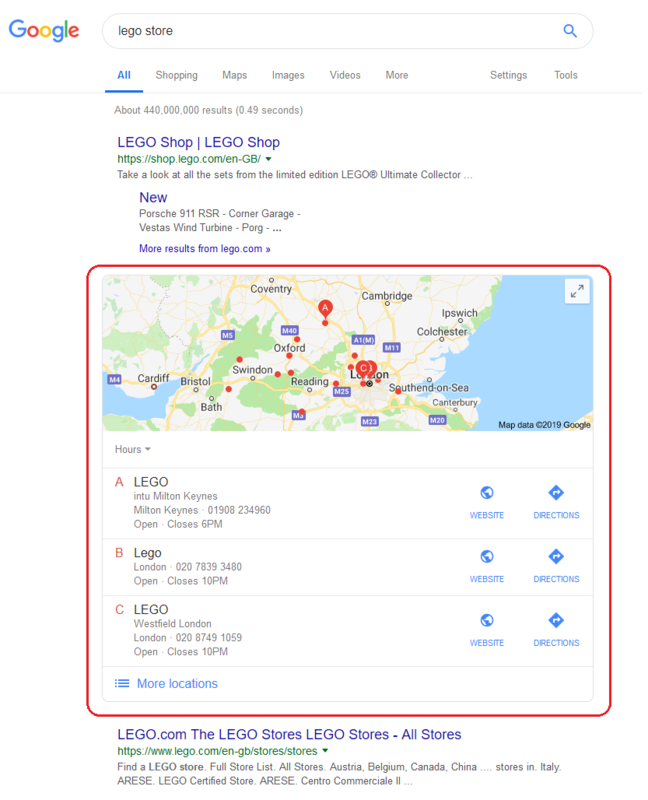 Packs that appear, usually, at the top of the page and which are comprised of a map and 3 listings featuring the business name, physical address, opening hours, and phone number. The listings returned in the local 3-pack are dependent on the searcher’s geographical location and query intent. 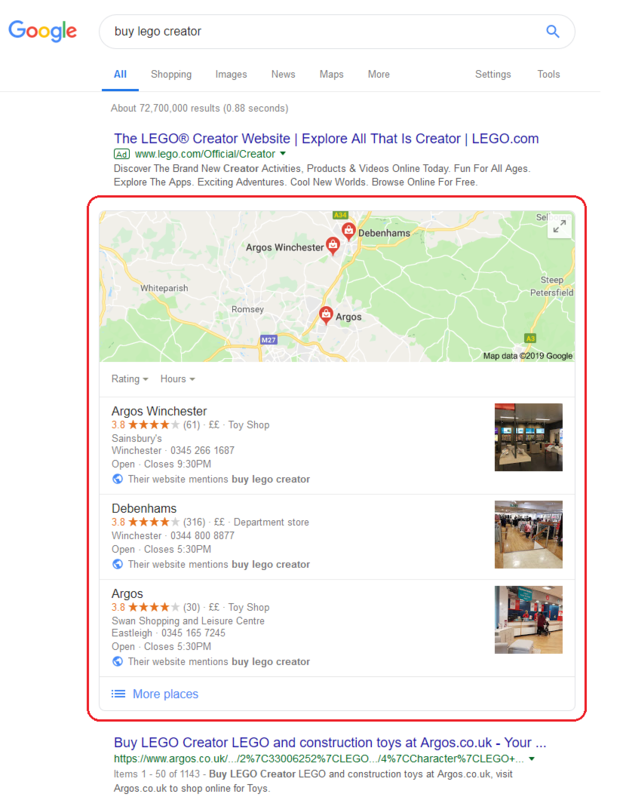 When clicking on any of the 3 local listings, the searcher is brought to Google Maps for an extended view of the selected business. -----------------------------------------------------------------------------------------------------------------------------💡 Quick tip: The Places search engine requires a custom alias setup so that rankings can be reported. More information can be found in the Website alias setup article. 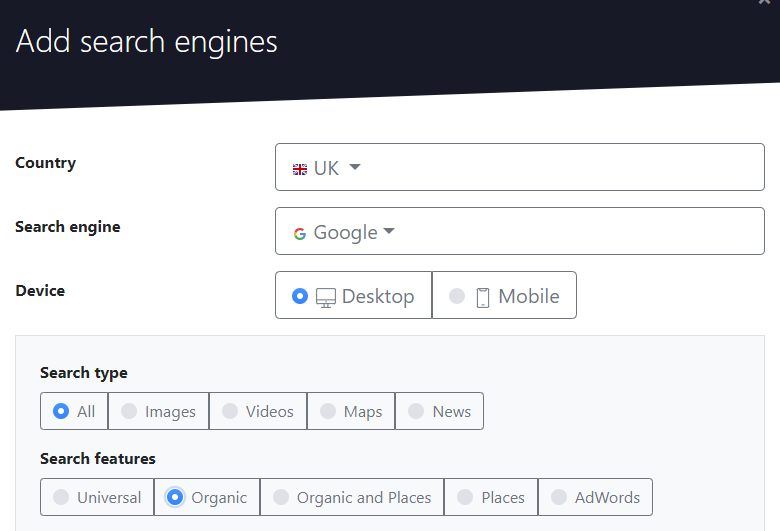 Search results based on unpaid, natural rankings selected by the search engine algorithms based on their quality and also their relevance to the searcher’s query. Organic only entries from regular Desktop web search pages can be tracked using the Desktop Organic search engine. -----------------------------------------------------------------------------------------------------------------------------💡 Quick tip: When tracking an Organic search engine, the other types of results displayed in SERPs are being ignored when computing the ranking position of an URL. If you need tracking more than just Organic rankings for your business we can either use the Universal or the Organic and Places versions presented above. Left screenshot: The HTML SERP file retrieved using a Desktop Organic search engine. Right screenshot: www.allrecipes.com is reported as ranking on the 2nd position - the Feature snippet and the 4 entries from the People also ask box were not counted. Video - video content returned from sources all over the web, including the Youtube database. Left screenshot: Organic search results blended with Top Stories and Tweets SERP Features. Right screenshot: Google vertical exclusively showing Google News results. 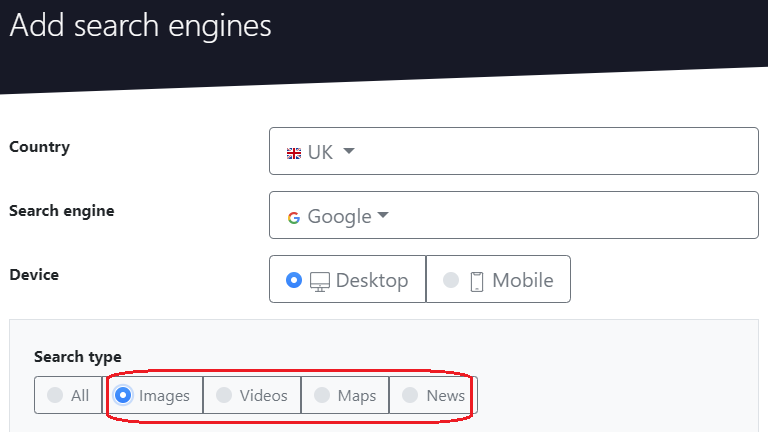 If in need to track rankings across one of the Google's vertical areas mentioned above you can use one of the specialized search engines - Desktop Images, Desktop Video, Desktop Maps or Desktop News. -----------------------------------------------------------------------------------------------------------------------------💡 Quick tip: Video and Maps search engines require a custom alias setup, so that ranking positions can be reported. More details can be found in the Website alias setup article. Search results for which the site owners have paid a fee to have their websites displayed on the search engine results pages when someone runs a search query containing specific keywords or phrases they are targeting. 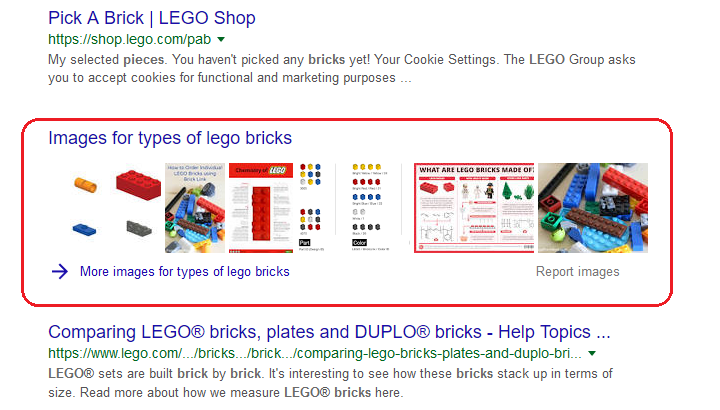 Paid results are listed at the very top of a SERP and are set apart from the organic listings using a visual clue. Ranking positions from sponsored search results can be captured using the Desktop Adwords search engine.